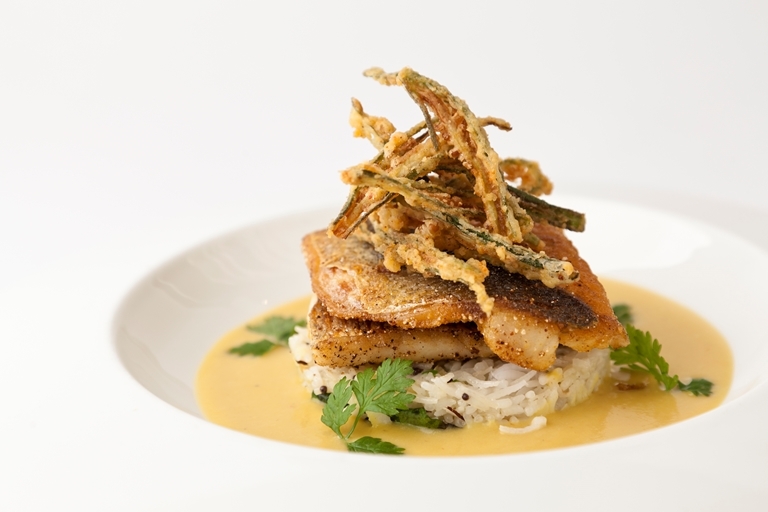 This grilled sea bass recipe from Vineet Bhatia has a wonderful mix of textures. Make sure you cook the okra just before serving in order for them to be wonderfully crisp. Carom (ajwain) seeds, gram (chickpea) flour and chaat masala spice blend are all easily found online or from Indian grocery stores. For more inspiration see our entire fish curry collection.